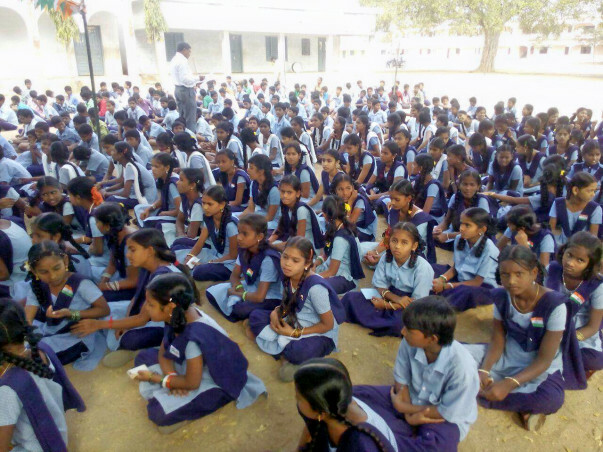 ZPHS(B) Pochampally is a coeducational government school located in Bhoodan Pochampally village of Yadadri Bhongir dostrict, catering to 450 children, run in both english and Telugu media. We want to give our children the experience of modest seating while they engross themselves in teaching learning activity. 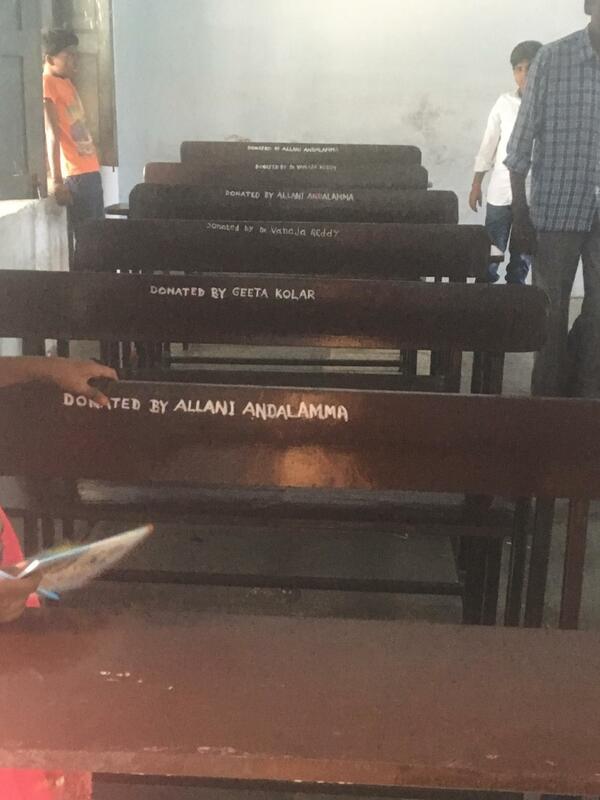 At the outset, we are aiming to procure 60 dual desks which will cater to 120 children on classes VI and VII. “When we give cheerfully and accept gratefully, everyone is blessed.”- Maya Angelou. Give us cheerfully, we will accept gratefully and give our best back to the world when we grow up into independent responsible adults. Boys and Girls of ZPHS(B)Pochampally. Our endeavour for a qualitative life ahead! ZPHS B Pochampally is grateful for your support. We could buy some school furniture - 5 benches. We would like to use the rest of the funds raised for buying few school badges for the students. Would request you to share this campaign further with your friends and family.